Spark Presents – CROP til YOU DROP SCRAPBOOKING | SPARK! Creative Artspace. Let us Spark! your Art! SPARK! Creative Artspace. Let us Spark! your Art! Spark’s Stacy Downey loves to scrapbook and she is inviting all to attend her first scrapbooking at Spark Creative Artspace’s studios, 251 Jefferson Street, Greenfield. Scheduled for Saturday, March 12th the event will begin at 2:00 pm and run to 7:00 pm, or till you drop! Cost$20.00 per person, payable at the door in cash or check, and will include snacks and drinks provided courtesy of Spark volunteers. 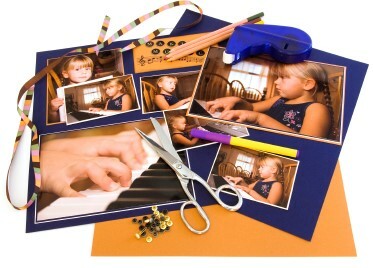 Bring your extra paper and embellishments to trade and exchange with each other. No experience necessary! Just pictures, papers, and a desire to save and treasure your memories! If you plan to attend please submit the following form so Spark will have some idea of what to plan for. Follow us by email and let us Spark! your Art! sparkcreativeartspace on Make a Faerie Door at Spark! Heather Gibson on Make a Faerie Door at Spark!